Investment protection provided by Denta-Gard! Be sure to watch our demonstration video. Professional consensus, common logic and it costs so little to protect teeth, oral tissue and investment in orthodontic appliances. The Denta-Gard is a high tech, impressive mouth protector. Be sure to watch our demonstration video. Dentists, heath care professionals, coaches and trainers agree that Denta-Gard mouthguards offer the protection needed for active adults and children. Made in America! 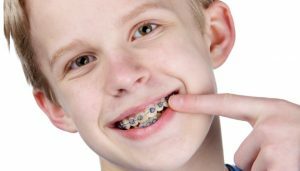 Designed by an Orthodontist, the Denta-Gard protects both upper and lower teeth and involved soft tissue. 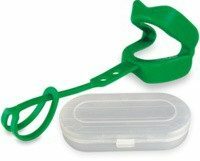 Avoid emergency visits by providing your patients with Denta-Gard mouth protectors! 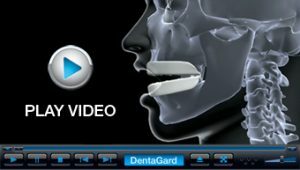 The Denta-Gard mouthguard was designed by an Orthodontist to provide optimal protection of both the upper and lower teeth while allowing for open mouth breathing and understandable speech. The American Dental Association estimates mouth protectors / mouthguards prevent approximately 200,000 injuries each year in high school and collegiate football alone. 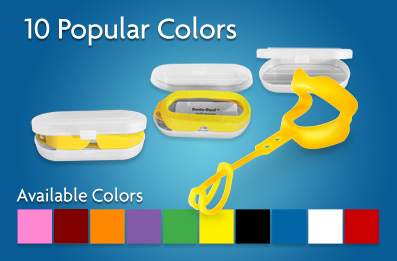 Most athletes prefer the soft, pliable, comfortable fit of the Denta-Gard mouthguard. In turn, they tend to wear Denta-Gard mouthguards more consistently to protect their teeth better than traditional mouth guards.